For a long time, I didn’t think I’d ever get to write this post but here it is. I think I have finally made it back to feeling normal (pretty darn close!). Time will tell if I get to a point of complete cure but for now I am grateful beyond words to have gotten my life back after a long, tough journey of dealing with Lyme Disease and Babesia. After 3 years, I can live with well-managed or remission. Memorial Day Weekend 2011 – 3 tick bites while camping. Bull’s eye rash 3 weeks later. Received a Lyme Diagnosis and 2 weeks of antibiotics. Summer & Fall of 2011 – increasing symptoms of memory loss, problems with spoken and written language (especially written), drenching night sweats, burning & tingling in fingers & toes, feelings of disorientation – almost lost – in places that I knew well, increasing fatigue. I wonder what is going on. Is it my thyroid? Peri-menopause? November 2011 – ND I was consulting makes preliminary diagnosis of mid to late stage Lyme Disease which is then confirmed by urine PCR test in January, 2012. Start treatment immediately. Am told about 50% of people get better in 3-6 months. Another 30% get better with continued treatment and 20% are never cured. I agree to follow an anti-inflammatory “Lyme Diet” to help my immune system and give up gluten, dairy & sugar as well as many other foods that I test sensitive to and eat as many fresh, organic foods as possible. Winter 2012 – treatment is horrible, like being on chemo. Lot’s of nausea & months of experimenting ‘til find antibiotics & herbal combo that works and that my sensitive system can handle. Symptoms ramp up with bacteria die off with severe pain in knees, fingers and toes, severe burning in fingers and toes, I have to edit my writing at work over and over and I can barely walk around the block or drive the hour to the office. Drenching night sweats continue. I am sleeping very poorly and am exhausted. When not at work I am often on the couch or in bed. March of 2012 tinnitus & bell’s palsy like tingling in my face begins. Spring & Summer of 2012 – with an acceptable treatment regimen I have slow & steady progress. Fewer bad days. Rare nausea. Pain decreases and I start to walk further and brain function improves. All my best energy goes to work. Clearly it will take me more than 3-6 months to get better. I explore alternative mind-body-spirit therapies to support my healing. February/March 2013 – I attend a support group meeting and get a suggestion that I may have Babesia as well (a red blood cell parasite that is also carried by ticks) and to try a round of treatment with Cryptolepis, a malaria herb. My ND agrees and miraculously the night sweats go away and my improvement leaps forward over the next few months. Summer 2013 – I am feeling way better but decide to quit my community-development job, work with my husband and drastically reduce my stress levels and eliminate my 2 hour commute to see just how far I can get in feeling better. Though I am thrilled with my progress, I don’t want to stall my improvement. I want more than tolerating my life. December 2013/January 2014 – I adopt an approach of leaning toward what brings me joy and paying less attention to Lyme. I start taking art classes after a 33 year hiatus. March/April 2014 – Night sweats have returned over last few months. I take another round of Cryptolepis and they disappear. We add in other complimentary herbs to see if we can beat the Babesia for good. We add P5P back in to address the lingering Bell’s Palsy-like symptoms. I have immune testing done and add in other supplements and foods that will optimize my immune function. My goal is to strengthen my body so it can fight the Lyme on its own. After a year of heavy metal treatment the Cadmium levels are down but lead is still too high. FDA has changed access to the drugs. I take a break and we figure out next steps. May 2014 – I have a scare with another tick bite. Knee pain resurges for a few days, hot-flashes 2-3 times a night. I rent a low-level laser from a complimentary practitioner and use it at home for 3 weeks. July 2014 – I have felt fantastic for the past month & a half. The best I have felt in 3 years! I’ll be finishing up Babesia treatment this month. I’m still taking some herbal medicines for Lyme, and several immune support supplements. I continue the healthy diet. I will begin to experiment with days off the Lyme treatment to see how that goes. I wlll be re-starting heavy metal treatment for another 5 months and hope that it will finally clear the tinnitus and continue to strengthen my immune system. I hope that overtime, my memory gets back to normal like my body. 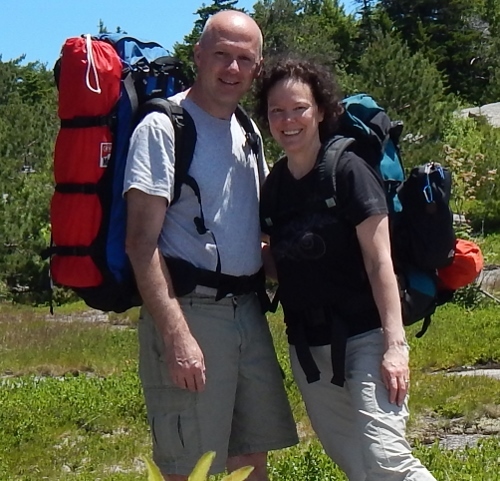 Backpacking with “M” looking healthier than I have in 3 years. Yay for miracles! In the meantime, I am enjoying my miracle summer. The miracle of being able to go for an 8 mile hike. The miracle of going on a short overnight backpacking trip and feeling “normal” muscle soreness & “normal” fatigue. The miracle of being able to work in the garden, do house chores, go for a swim and still have enough energy to go out in the evening and enjoy live theater in the park – all in one day. Every day of normalcy feels like a miracle and I start out each day voicing my gratitude out loud. 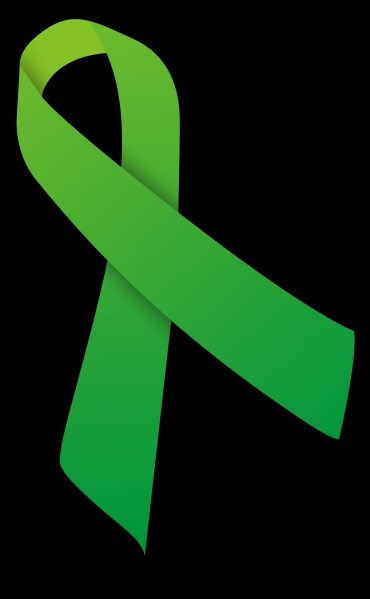 Here’s hoping for miraculous recoveries for my fellow Lyme/tick-borne illness sufferers both those I know and those I have never met. As I began writing, I stopped for a while thinking what should I write, You are such a strong lady. And you fought it all and rising back again. Well done !! Thank you so much for stopping by at my blog, else I would not have known about you. Thank you for taking the time to stop by and leave your kinds words. I do enjoy the lovely photos on your blog! I am so happy to hear that you are recovering and doing so much better. I do believe in miracles and I’m hoping for one, myself. I hope everything continues to keep getting better for you and that the worst is all behind you, forever. Enjoy your journey. You are a true inspiration to me. I really needed to read your story. It came at just the right time. Although, my several invisible chronic illnesses are different, the journey is similar. Thank you for your understanding & kind comments. It is indeed a hard journey to deal with an invisible illness. Wishing upon a star for your miracle. I hope your surgery goes well and that by the time you read this you are feeling relief that it is over and starting to heal. So happy for you. Hope your recovery continues to go well. Wonderful news!!! You have reached the peak of the mountain, so happy you are doing so well. Thank you Jeanvieve. Thanks for stopping by and for the share. With your additional diagnosis, I hope the next few months are a leap forward in healing for you. Finally recognizing and treating the Babesia made all the difference for me. What an extraordinary journey of learning. You are a gift to anyone suffering your symptoms, and have much to offer. Am sooo happy for you!! YAY!! hugs.. Thank you, Hoda! I know you understand what it means to fight for your health and search for a way back that will work for you. Indeed. And we can only hope to inspire others to find their way.